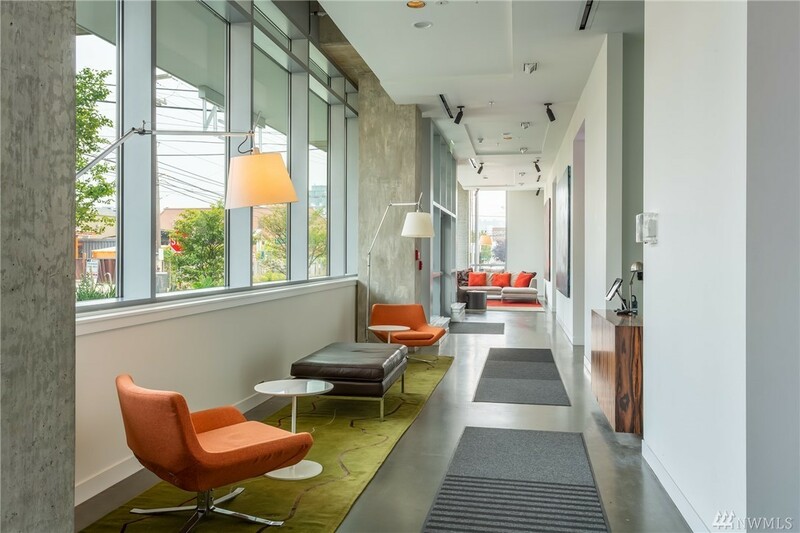 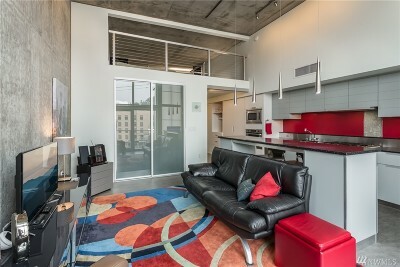 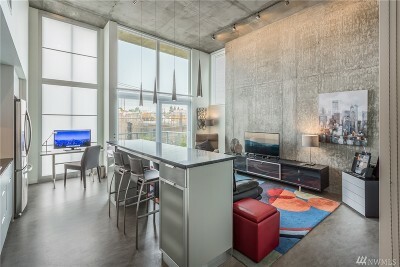 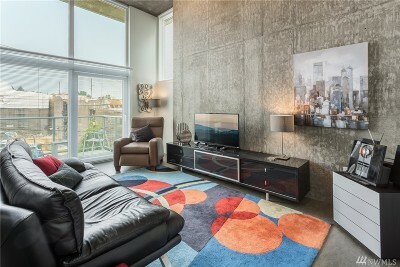 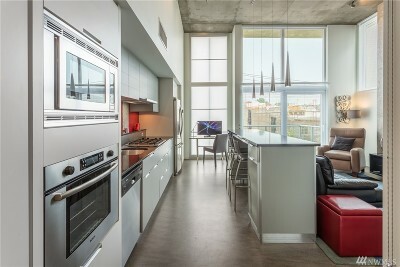 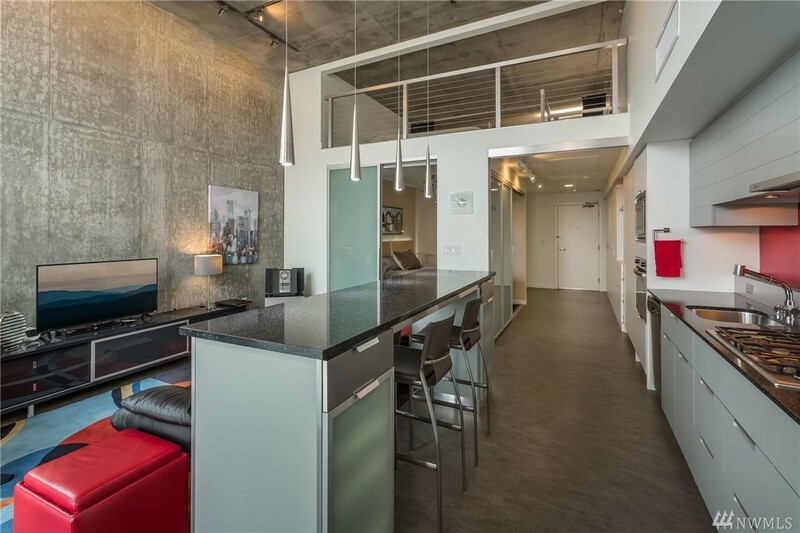 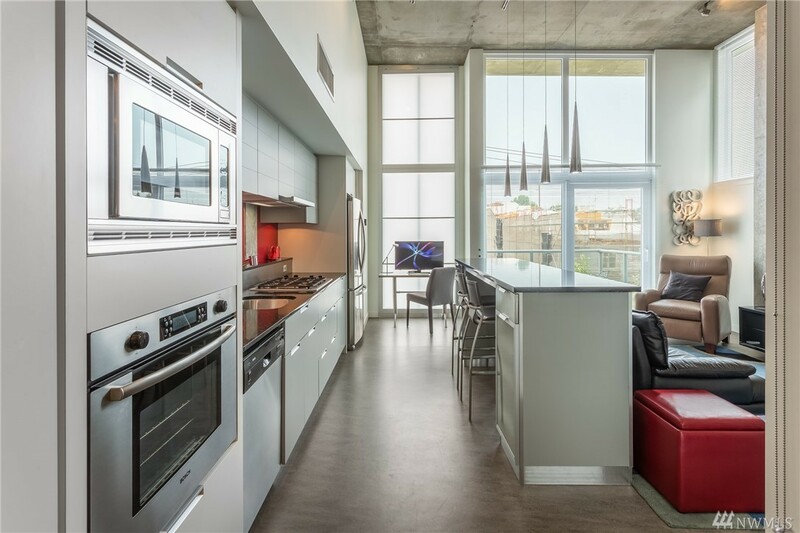 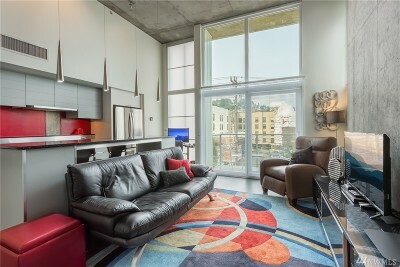 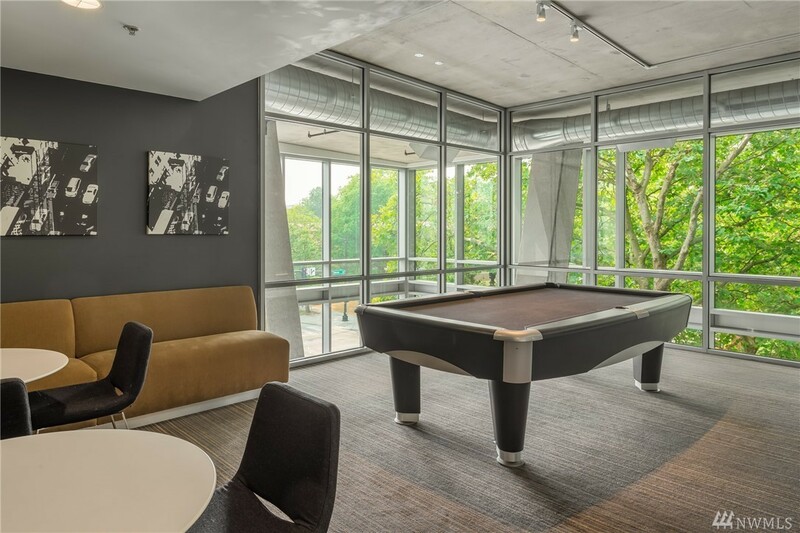 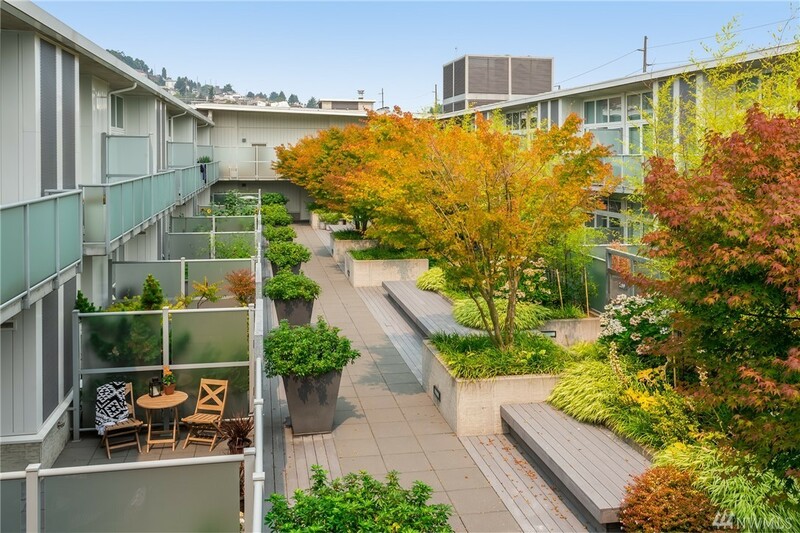 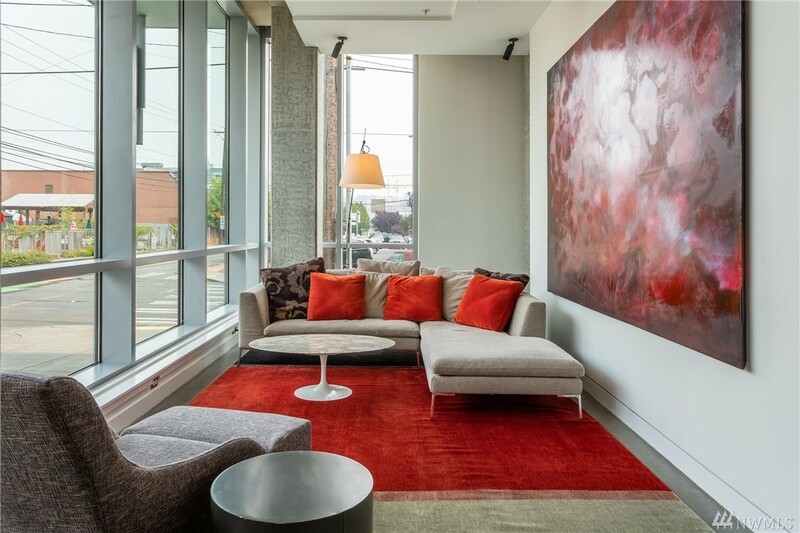 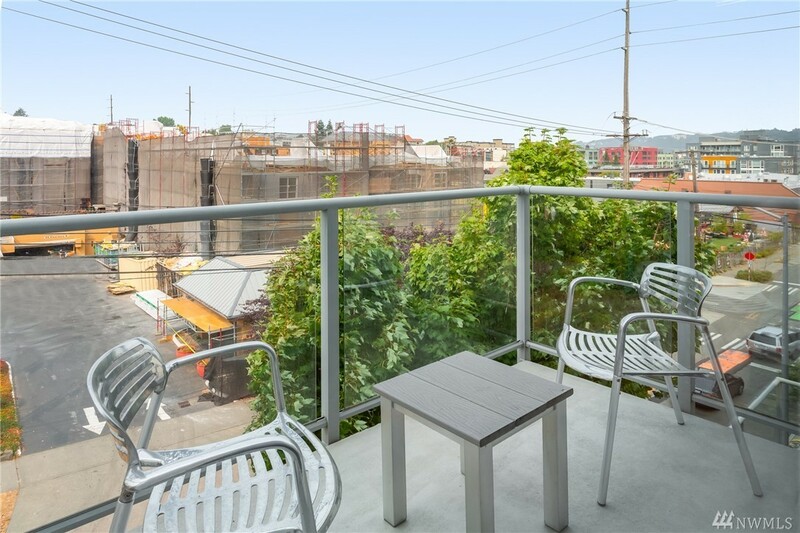 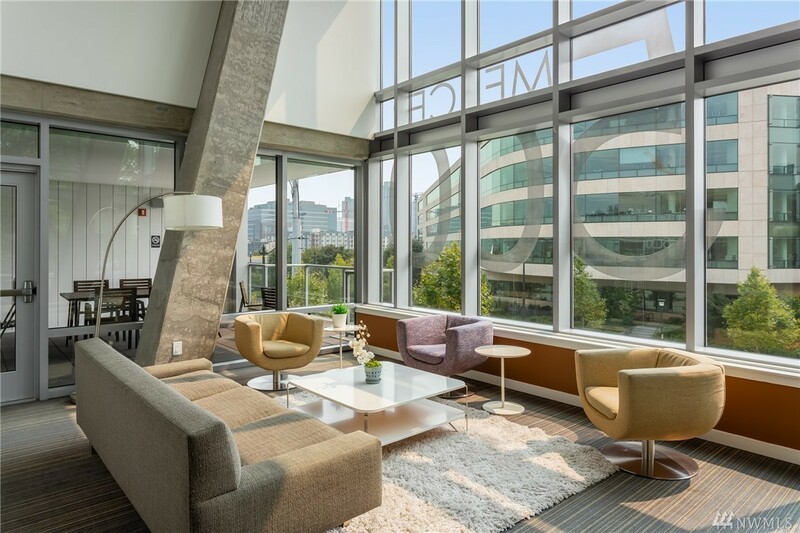 Immaculate top floor unit w/floor to ceiling windows, exposed concrete ceilings & walls, private deck. 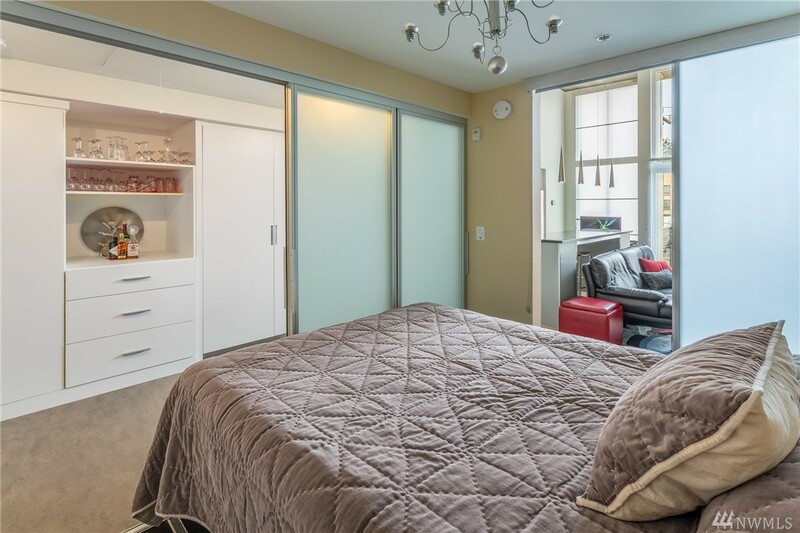 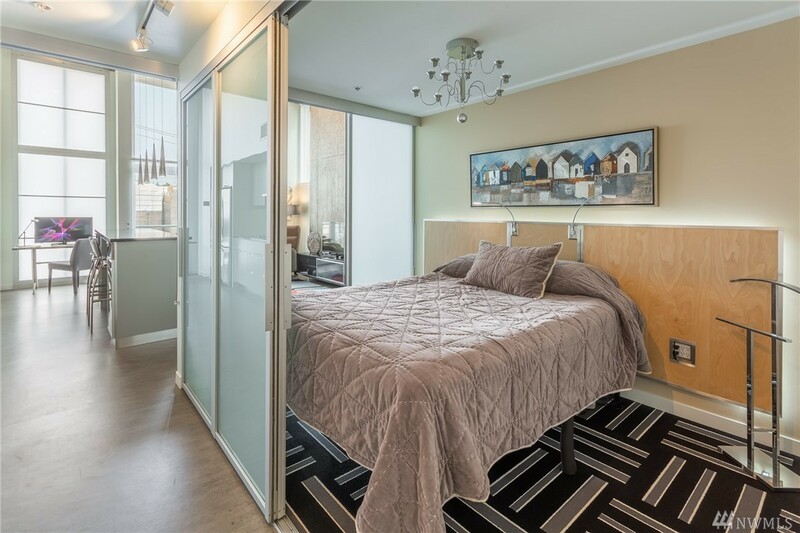 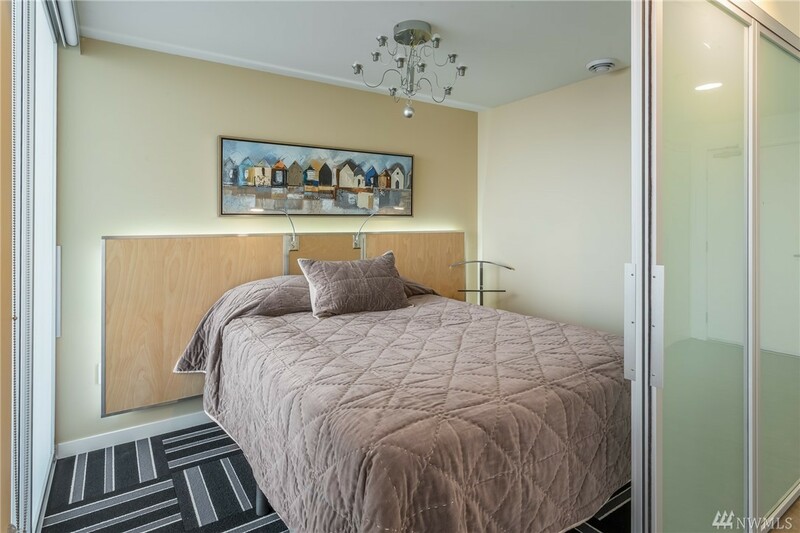 Located on quiet side of building, a living space of 648 sq/ft & 329 sq/ft low headroom loft, use to sleep or reachable storage. 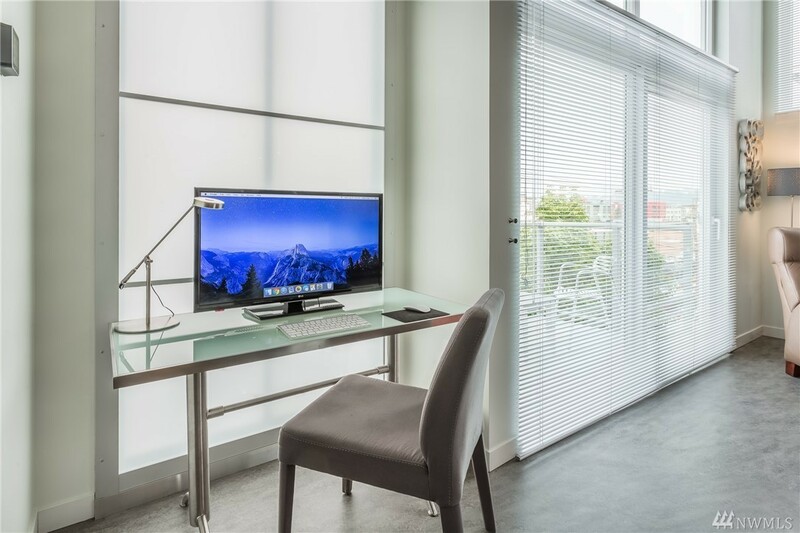 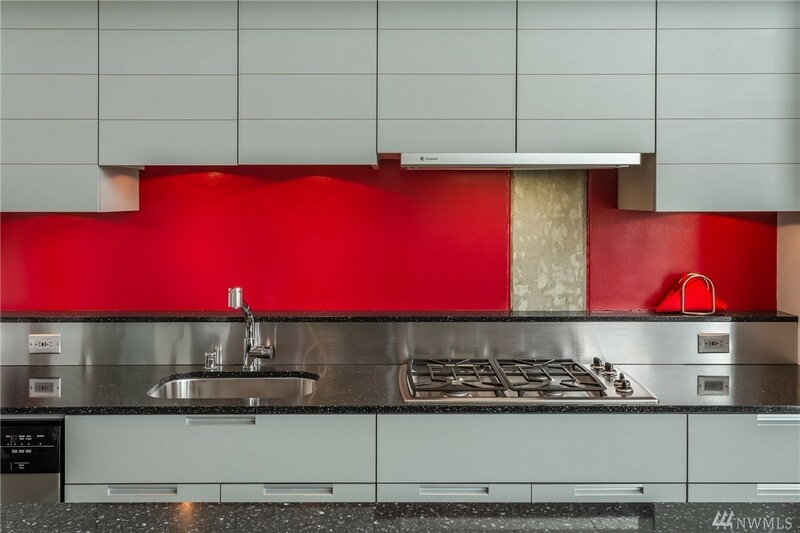 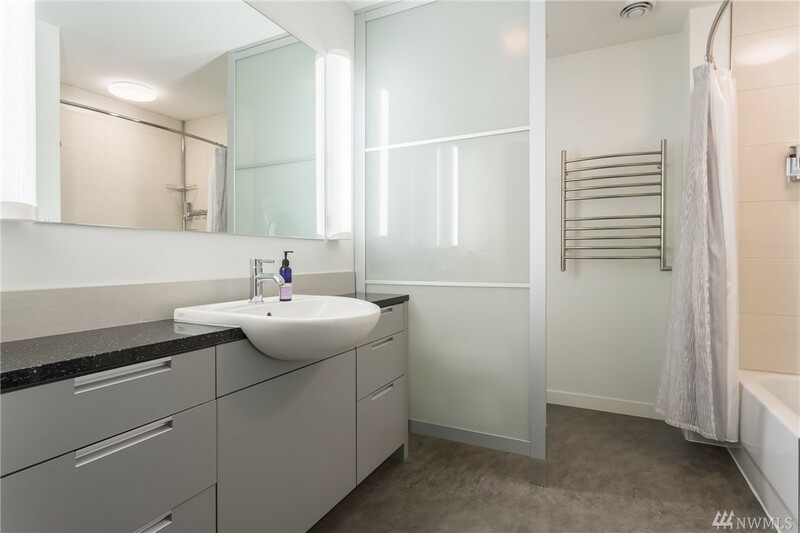 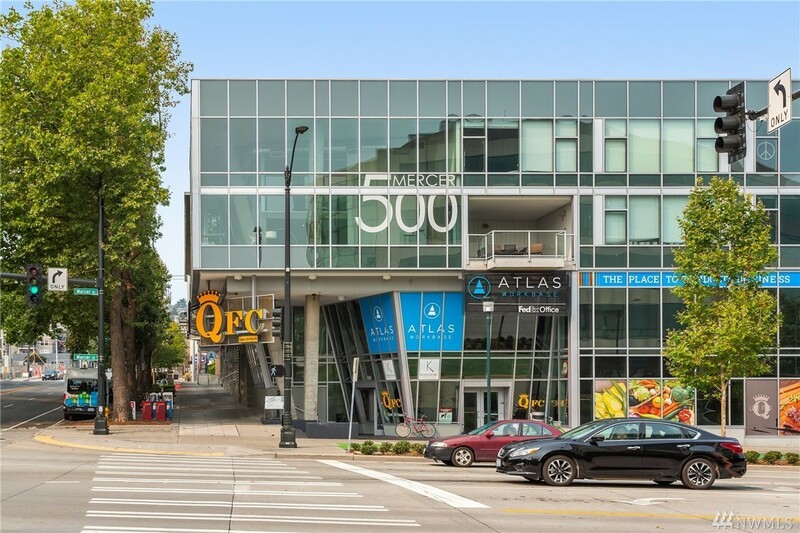 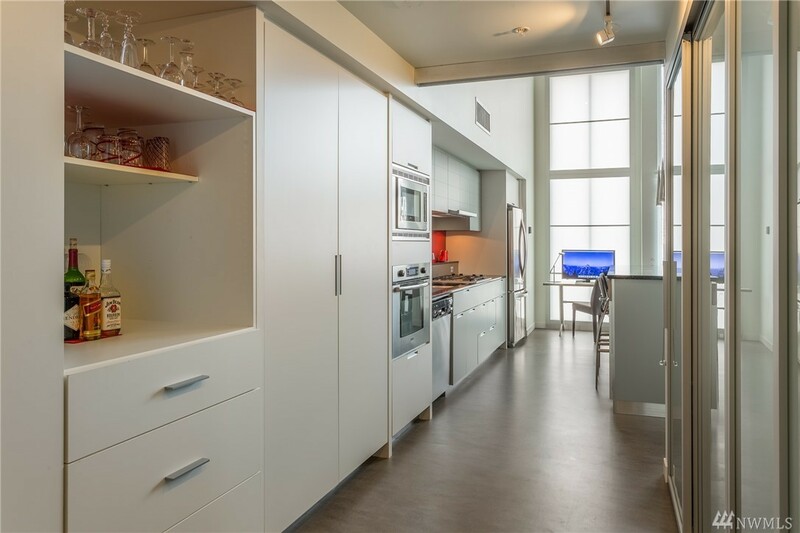 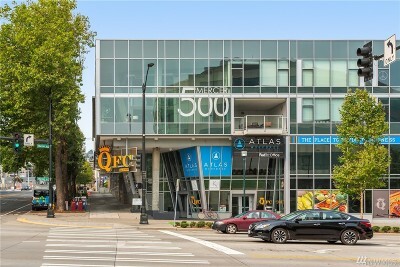 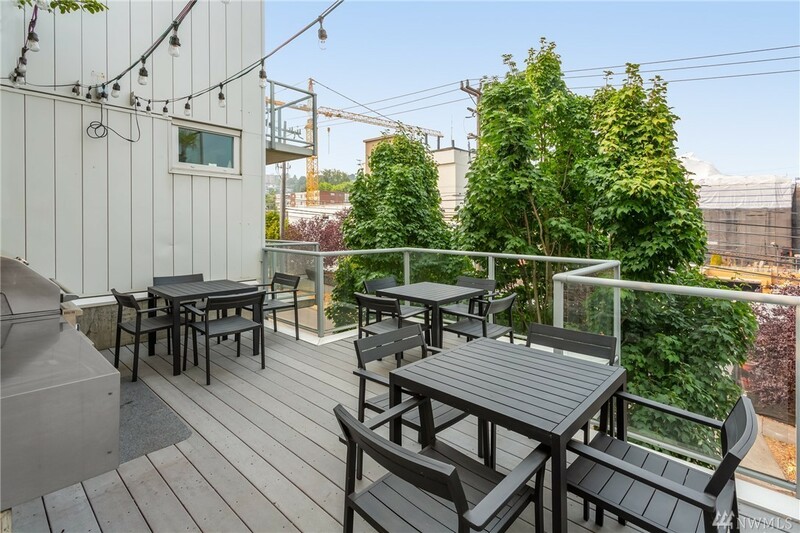 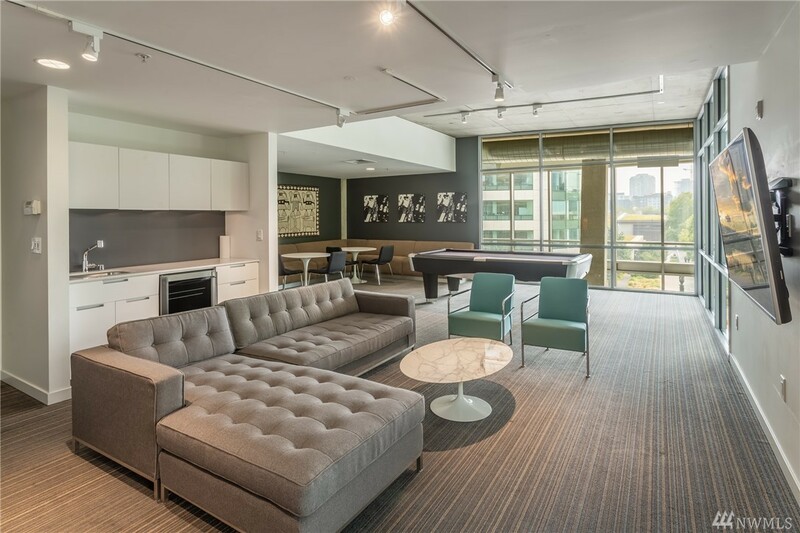 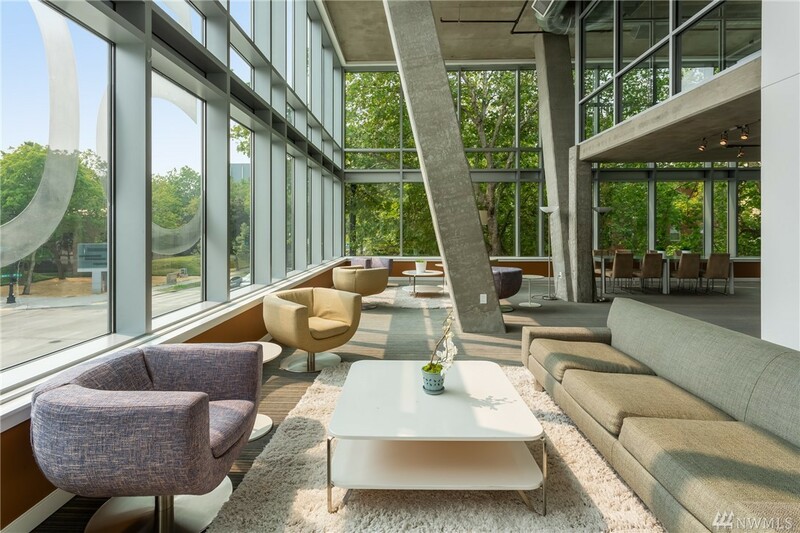 Kitchen & dining island, gas cooking, 2 secure parking spaces, storage unit, amenities include Concierge, Club Rm, Movie Rm, carwash, Coveted location, QFC 24hr groceries elevator ride down, Walk to Amazon, Bill & Melinda Gates Foundation, downtown & Seattle Center.